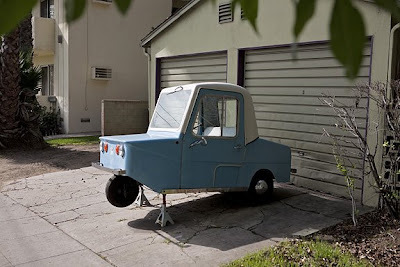 Saw this vintage three wheeled electric car sitting on jacks in front of a home in the upscaled area of Silverlake this morning. Wondering if this is how Silverlake does WT? The electric car was made by Electra Car of Long Beach, CA.